An energetic Sustainable Hour where two friends of the wind – Friends of the Earth Melbourne’s Yes2Renewables coordinator Pat Simons and community-owned Hepburn Wind’s community manager Taryn Lane – help us bust a couple of industrial wind farm and power price myths, along with how best to respond to the various ‘visual pollution’ concerns that continue to be raised in local media, now that wind farm projects are finally beginning to materialise in our region. 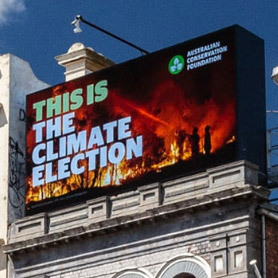 Australia’s electricity sector is the nation’s biggest climate polluter. Irresponsibly, editors of local media and certain politicians refuse to acknowledge that we need to get off fossil fuels in order to deal with the existential threats of the climate change crisis – and that wind farms happen to be an important part of the solution to that crisis. 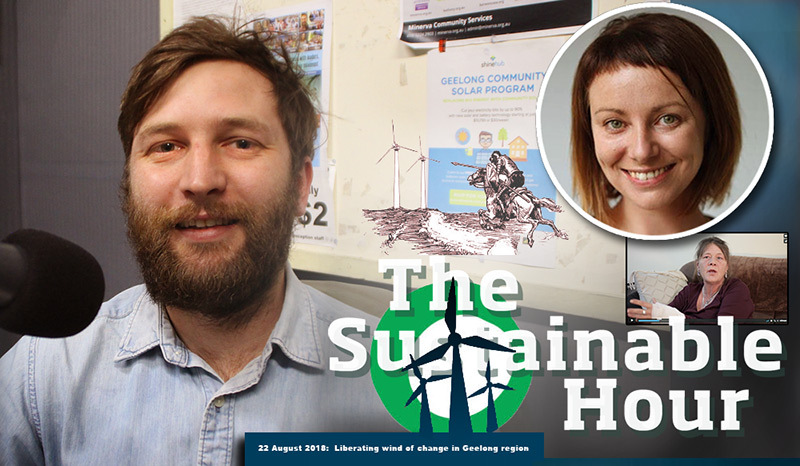 We learn how the Victorian government’s renewable energy targets create thousands of new jobs while solving terrible, painful and costly health problems related to the coal industry as well. As we have now entered the lead-up to the Victorian state election on 24 November, we extend Pat’s invitation to get actively involved in communicating about all of this to others in our community – there’s a meeting in Geelong about this next week. We play a clip with Dr George Crisp from Doctors for the Environment Australia, as he spoke in ABC Matter of Fact on 9 August 2018, a clip with Richard Riordan MP on 4BC, and with Barnaby Joice on the ABC, a trailer for the new film ‘Our Power’, and the song ‘Get Together’ from the new – and free – ‘Radish Beet’ remix album from the absolutely Formidable Vegetable Sound System. While the federal Parliament is plagued by disunity and denial, Victoria is showing real leadership on renewable energy. Victoria’s Renewable Energy Target (VRET) of 40% by 2025 has been written into law, and recently the Andrews government announced an ambitious plan to put rooftop solar on 650,000 homes across the state. In the weeks ahead, we’re expecting more news about the winners of Victoria’s very first renewable energy auctions, which will see new wind and solar farms built across the state. But we’ve got a problem. The Matthew Guy opposition has pledged to axe the VRET – a policy expected to create 10,000 jobs in wind and solar, cut pollution and help the state get a grip on electricity prices. With less than three months until the Victorian election, the Guy opposition has failed to set out their own plan to grow renewable energy and deliver thousands of jobs in wind and solar. Join the Yes 2 Renewables collective for a casual community meeting at the Geelong Library next Thursday to talk about the state of play, and how to celebrate and protect renewable energy in the months ahead. With the federal government in turmoil and so much at stake, it’s up to all of us to defend Victoria’s renewable energy leadership. This is a fairly casual meeting bringing together like-minded people keen to get organised in Geelong and the surrounding region. No prior knowledge is required, only passion and interest. Tea and coffee available on the evening. Geelong Library, Level 2 Meeting Room. What is behind this strange opposition to wind power? This week in The Sustainable Hour, we learn about wind. Wind power, that is. What is on its way in our region? What are the benefits and the challenges? Unlike coal, natural gas, diesel and petrol power, unlike these products Geelong Refinery along with numerous coal mines and fracking gas wells so ‘proudly’ deliver to the Australian communities at a high cost… the wind is free. The energy it provides, once the construction cost of the turbines that harness it has been paid off. 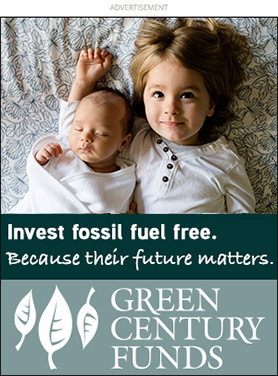 Free, clean, climate-safe. Who in their right mind would be against something which is free and benefits humanity in numerous ways? Well, as it turns out, plenty of farmers and politicians in the Geelong region… At least that is the impression the local media would like you have. It is obvious that there are vested interests among shareholders of fossil fuel companies trying to stop the renewable energy industry from taking over – which it eventually will. What is seldom mentioned in the public discussion, though, is that one of the real reasons for the resistance we are seeing against wind energy among wealthy members of the Coalition parties has nothing to do with electricity, visual pollution or health concerns – the reason is that construction of new wind farms is something which disrupts the economic status quo in a small community. Wind farms generate a new source of income to some farmers, but not to all. This sort of redistribution of economic gains in the local community, disrupting the traditional power structures, very quickly can become a basis for jealousy and conflict. The construction and operation of 107 wind turbines – the Moorabool Wind Farm, 47 kilometres from Geelong, 27 kilometres from Ballarat – has been approved and is well under way. Moorabool’s 107 wind towers will be turning by mid-2019, while 60 turbines nearby at Lal Lal Wind Farm will follow a few months later. The turbines are expected to power the equivalent of 223,000 average Victorian homes, that’s 11% of all Victorian homes. On the slopes of Mt Gellibrand, blades have also started turning with the first of the $258 million wind farm’s 44 turbines now turned on. Eleven wind farms have been completed in Victoria in the past four years, with a further eight projects under construction. And there is more in the pipeline. WestWind plans for a $1.7 billion Golden Plains Wind Farm and a multi-pronged project in Inverleigh, featuring 16 turbines, 22MW of solar and 12MW of battery storage, is being looked at. The electorate of Liberal member for Polwarth, Richard Riordan, covers parts of the Golden Plains Shire down to Mortlake and Port Campbell. 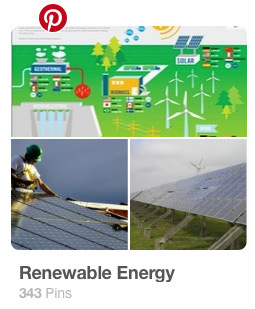 It has 15 wind energy projects on the books. But Riordan is no fan of the large expansion of wind farms, he told Geelong Advertiser: “Good things done badly aren’t always a good thing,” he said. More about this further below. “For many living in the Victorian countryside, the increase of wind farms is impacting their health and quality of life. Turnover for the Danish wind turbine industry is approximately 240 billion Danish kroner. That’s the equivalent to around 9 per cent of Denmark’s total annual GDP. Leading Danish wind developer Vestas has posted revenue of 2.2 billion euros in the second quarter of 2018 (3.44 billion AUS$). The interim results released on 15 August 2018 beat forecasts and led to a 7 per cent jump in the company’s share price. The figures also show an order intake now at 3.8 gigawatts, an increase of 43 per cent on the previous year. The all-time high backlog represents a value of 10.2 billion euros, and combined with service agreements in place pushes the value to 23 billion euros in future earnings. Data released by the Global Wind Energy Council earlier this year showed the technology was in rude health; worldwide installations hit a massive 52 gigawatts in 2017, fuelled by declining costs and the push for cleaner forms of electricity. Total investments are expected to be around 500 million euros this year due to a flurry of activity. Vestas remains the world’s largest supplier of wind turbines, but faces stiff competition since the merger of Siemens and Gamesa last year. On Sunday 21 October, wind farms around Australia will be throwing open their gates to the public for a range of fun and informative open day events. Nine wind farms have so far signed up to open their gates across NSW, South Australia, Victoria and Western Australia. In Victoria, the wind farms currently involved include Bald Hills Wind Farm, Cape Nelson South Wind Farm, Mt Gellibrand Wind Farm, and Salt Creek Wind Farm. Each wind farm will be running a range of activities for the community and families. For more information on each wind farm and details on how you can be involved visit cleanenergycouncil.org.au/openday. More details on each activity will continue to be added to the website. 1. The electricity sector is Australia’s biggest opportunity to act on climate change. That’s because it’s our biggest polluter, generating 33% of our emissions and yet the solutions – energy efficiency, renewable energy and storage technologies – are readily available and can be rapidly deployed. A credible climate and energy policy needs to make sure this sector significantly cuts greenhouse gas pollution, or the job will be left to other sectors, such as transport and agriculture, where reducing pollution will be harder, and more costly. 2. Burning coal is the most polluting way to generate electricity. Since 1990, greenhouse gas pollution in the coal-dominated electricity sector has increased by 42%, largely because of the burning of fossil fuels. 3. “Clean coal” is not a thing. All coal power stations, old or new, cause greenhouse gas pollution. Even a new, “high-efficiency” coal power station would produce about 75% of the emissions of an existing power station of similar size. 4. On reliability, renewable power and storage – not ageing, inflexible coal power stations – are the clear winners. Australia’s ageing coal power stations are struggling to cope, with most rapidly approaching the end of their operating lives. A mix of renewable energy technologies, such as wind, solar PV and solar thermal, along with energy storage, can provide electricity 24/7 to power Australia’s 21st century economy. 5. Wind and solar can’t be beaten on cost. Renewable energy from wind and solar farms is now the cheapest form of new energy generation in Australia. And when coupled with storage, renewable energy technology is best placed to replace old, polluting coal. Solar Panel Rebate: The Victorian Government is providing a 50 per cent rebate, up to the value of half of an average 4kW solar panel system (which currently equates to $2,225) for eligible households in 2018-19. In the last 12 months, no less than 10 new wind farms were completed, adding over 900 megawatts of capacity and increasing Australia’s wind power fleet by 25 per cent. In one year. The construction boom has delivered hundreds of local jobs, it also adds something near half a billion dollars – 427 million dollars to be more precise – in new so-called “Community Enhancement Funding” into the host communities, every year for the next 25 years. That’s called “benefit sharing”: Making sure the benefits of wind farms stay local. Wind energy builds relationships and makes a positive contribution to the social fabric of rural and regional Australia. It's winter and there are over 60 bush fires burning in NSW. Mr Riordan will lobby his parliamentary colleagues to embrace a 1.5km buffer zone, which he says is in place in other states. He is also concerned that the existing 1km setback can use other people’s land, threatening any future development on properties that border turbines. 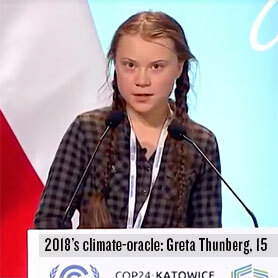 It has come to a point where if you are still not paying attention to the climate crisis and helping with solving it, there is something seriously wrong with you. You are either being a very selfish fool or you are being fooled. This has nothing to do with party politics. This has to do with the protection of the global commons – that biosphere which we all are a part of and which our lives depend on. The only ones who can’t see the importance of this are those who have vested interests in polluting, dirty energy systems of the past centuries. Labor’s Victorian Renewable Energy Target aims to have at least 40 per cent of the state’s energy needs met by renewables from 2025. 11 wind farms have been completed in Victoria in the past four years, with a further eight projects under construction and more in the pipeline. Investments of several billion dollars into raising hundreds of new wind turbines. How absurd is it to observe Australian politicians who call themselves “conservative” calling for a stop to this positive and necessary modernisation to clean up our old polluting energy system and protect the world’s ecosystems and climate, while their conservative colleagues in Europe and in countries that don’t have fossil fuels in the ground are embracing and supporting the wind industry? The truth of the matter is that construction of clean energy plants based on wind and sunlight contains all the values that conservative politicians around the world always have taken pride in and stood up for: industrial investment and progress, new job growth, individual prosperity, energy freedom, resilience, security and safety. It is impossible to prove how much money outspoken anti-renewables politicians are receiving on offshore bank accounts from the fossil fuel industry lobby, but reportedly, this is what is happening[*], and it could of course be one way of explaining the mystery why anyone in their right mind would want Australians to continue polluting the air with burning coal and gas to generate increasingly more expensive electricity, when renewables only get cheaper and cheaper, and on top of that don’t pollute the air or disrupt the climate – an issue which, regardless of whether Mr Riordan and Mr Guy acknowledge it or not, kills people and destroys properties every day around the planet, something which is considerably more urgent for our society to address than the claimed issue with wind turbines’ ‘visual pollution’ in the landscape. As if the high voltage electricity wires which already scar the Australian landscape were subject to any such considerations when they were built. Richard Riordan’s and Matthew Guy’s energy policies are not only wrong and misleading when they claim renewables will increase costs. 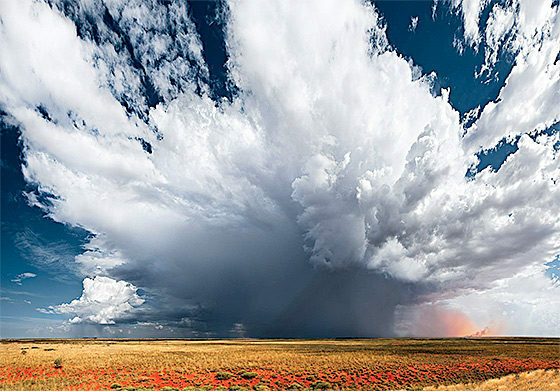 Reality is it is coal and gas that will increase costs, and even more so those costs that are currently unaccounted for when society again and again is hit by yet another devastating extreme weather event, costing citizens, businesses and governments billions of dollars every year. The world is in a climate emergency. We only have to watch tv news to understand the seriousness of this. This is a problem every one of us on this planet must help addressing now. And those who pollute the most, such as the Australians, should be even more eager to change this. Anything else would be immoral and knowingly irresponsible and unkind to our young people and to future generations. Other countries have managed to reduce their pollution levels and benefit from it both economically and socially, greenhouse gas pollution levels in the Australian electricity sector have increased by 42 per cent since 1990. That is an outright disgrace in an international context. According to AEMO, the Australian Energy Market Operator which performs an array of electricity market, operational, development and planning functions, recently made it clear that wind and solar can’t be beaten on cost. Renewable energy from wind and solar farms is now the cheapest form of new energy generation in Australia. And when coupled with storage, renewable energy technology is best placed to replace old, polluting coal. Neither of these two politicians disclose anything about their religious background on their personal websites, but Riordan is an Irish Catholic name, and Matthew Guy hypocritically claims to be fighting for the Catholic school communities in Victoria, while at the same time they both elegantly manage to turn a completely deaf ear to the Catholic’s leader Pope Francis, who in 2015 told the world in very explicit terms that “highly polluting fossil fuels – especially coal, but also oil and, to a lesser degree, gas – needs to be progressively replaced without delay.” (Laudato Si’ 165). “Without delay”, Mr Riordan and Mr Guy. What is it that makes you think that you know better than the Pope, so in spite of all your alleged care for the Catholic community, you think we should just ignore Pope Francis’ very straight-forward and sensible message to humanity? The Liberals almost destroyed the renewable energy sector last time they were in Government. Where is your plan to deliver the benefits of the Victorian Renewable Energy Target, once you scrap it? 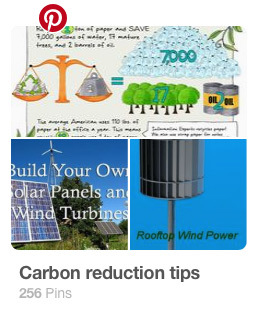 What is your way to create 10,000 new renewable industry jobs, investment to regional communities, cheaper power to businesses and residents, and above all, cuts to carbon emissions? The Victorian Renewable Energy Target will see 5,000MW of new electricity generation come online across the state. The rollout of new solar and wind farms will create 10,000 jobs, put downward pressure on power prices, and help the state meet the legislated target of zero emissions by 2050. It’s no wonder renewable energy enjoys strong support from the communities that host projects them and beyond. Many will remember that the Liberal party almost killed off Victoria’s renewable energy sector the last time it was in office. Our state missed out on millions worth of investment and hundreds of jobs. It’s disappointing to see sitting Liberal MPs hanging on to an ideological opposition to renewable energy technology. Matthew Guy and the opposition have told us they’ll scrap the VRET. But when will the release their plans to bring 5,000MW of solar and wind online to cut power prices? How will the create 10,000 jobs in the sector? What steps will they take to uphold the state’s climate laws and ensure emissions are cut? A party worthy of forming government would have a clear plan for these issues. It would have no problem releasing it for public scrutiny well before the state election. Failure to do so would raise doubts about the fitness of the Coalition to govern. “The promise of legislation to secure a 26% emissions reduction target died today — that is if a propped up skeleton can die. It can be pulverised into dust, I suppose, which seems fitting. Ben Potter in the Australian Financial Review writes that the real test will come when we are expected to commit even further to the cause, as have many of our allies and trading partners, twenty-three of whom have signed a ‘Declaration for Ambition’ to ratchet up their emissions targets. “To me, an industrial wind turbine is not an electrified tower jarring the landscape. It is a beacon of hope, designed by sapiens, powered by nature. 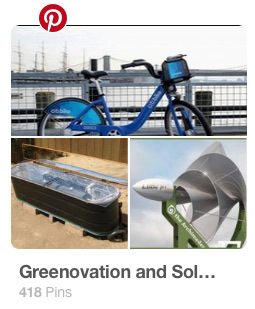 My intention is to seduce, to inspire others to visualize – to imagine – what a post-carbon world will look like. What is holding us back at this existential moment? How can we shift the global climate change conversation from despair to hope, from apathy to action? In the past, it was imagination that propelled homo sapiens forward. In the future, it is imagination that will ensure our existence in a rapidly changing world. It is urgent therefore, for artists and architects and all creative souls to take their rightful place at the table alongside scientists, engineers, city planners, journalists and politicians. Collectively, we must “imagine that which we know” according to the poet Shelley. Collectively, we must design a future of clean abundance and endless opportunity. Collectively, we must immediately start to build this future. A future that, according to architect Alice Guess, not only insures we will persist, but that persisting can be beautiful, comfortable, safe and functional. Depending on where you live, the air you breathe is shaving months, even years, off your life, according to a new study. In Egypt and India, where air pollution is high, the average life expectancy is cut by 1.9 and 1.5 years, respectively. In the U.S., air pollution shortens a life by four months. The study comes at a time when President Trump is loosening environmental protections. This week, the Trump administration unveiled plans to overhaul regulations of coal-burning power plants. And, according to the administration’s own analysis, that policy shift could lead to as many as 1,400 premature deaths a year by 2030 and up to 15,000 new cases of upper respiratory problems. This article on #climatechange was published 106 years ago today. "The furnaces of the world are burning 2,000,000,000 tons of coal a year… This tends to make the air a more effective blanket for the earth. On 13 September 2018, Beyond Zero Emissions launches their new report, Electrifying Industry, on one day summit around the topic. 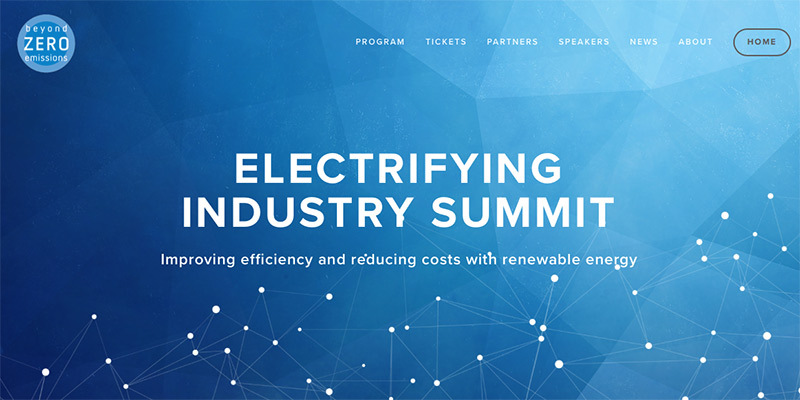 The summit is a chance for manufacturers, policymakers and industry to come together to explore the opportunities in the coming decade for a revival of Australian manufacturing powered by renewable energy. Registration is free. The report includes 10 ‘How to electrify’ case studies for developing many common industrial materials without fossil fuels, including pre-prepared meals, beer, milk powder, paper, aluminium casting, brick, glass, plastic, steel, & ammonia. Not sure how to talk about electricity? 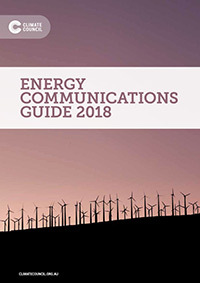 A new guide from the Climate Council aims to help us all with often difficult conversations on climate change and energy. 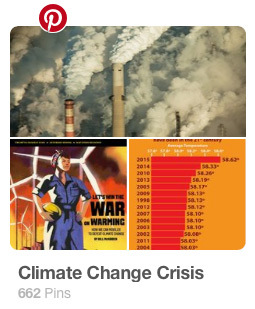 It was created to assist those communicating on climate change and energy to do so accurately and effectively. A Victorian coroner wants open flue gas heaters to be phased out after the carbon monoxide poisoning death of a woman in her Melbourne public housing unit. Look at this irresponsible guy! Who it is, you ask? We at The Sustainable Hour would like to pay our respect to the traditional custodians of the land on which we are broadcasting, the Wathaurong People, and pay our respect to their elders, past, present and future. 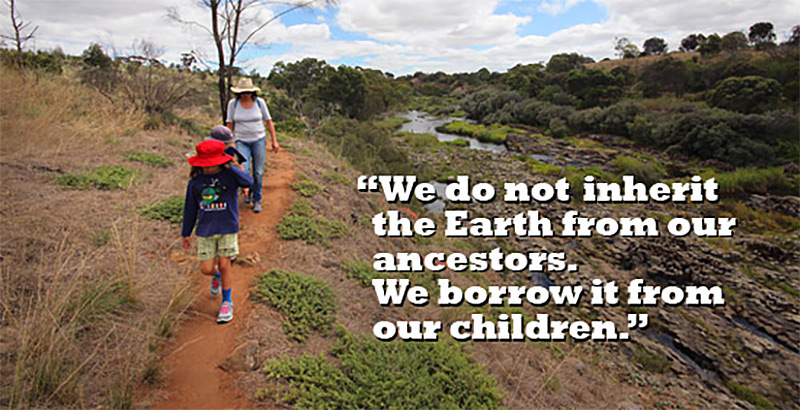 The traditional owners lived in harmony with the environment and with the climate for hundreds of generations. It is not clear – yet – that as European settlers we have demonstrated that we can live in harmony for hundreds of generations, but it is clear that we can learn from the indigenous, traditional owners of this land. The decisions currently being made around Australia to ignore climate change are being made by those who won’t be around by the time the worst effects hit home. How utterly disgusting, disrespectful and unfair is that? 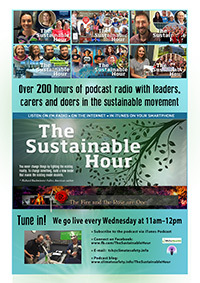 The Sustainable Hour is streamed live on the Internet every Wednesday from 11am to 12pm (Melbourne time). » To listen to the program on your computer or phone, click here – or go to www.947thepulse.com where you then click on ‘Listen Live’ on the right. 1. Print this A3-poster and put it on a wall or a board at your work place, a local café, shop or where ever you think there’ll be people who’ll find this information interesting. 2. 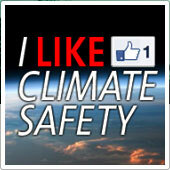 Go to our Facebook-page and give us a click on the LIKE-button. 3. Let the The Sustainable Hour’s listeners know about your green product. To become a business supporter or sponsor, contact: Simon Finch, Marketing & Business Development, 947thepulse.com – Geelong’s Premier Community Radio Station. 4. Maybe support us financially? Even a small donation will make a difference – in particular with printing expenses. Email address and surname is mandatory. All other fields are optional.